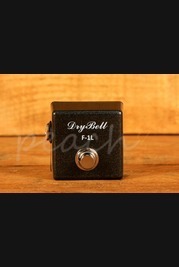 DryBell are a pretty new name on the scene, they are making pretty big waves though with their cracking pedal, the Vibe Machine. Delivering classic Uni-Vibe mojo, these guys really do know how to craft a pedal to win over the masses! Order your DryBell online today, if you'd prefer to try before you buy then head on down to our store based in Colchester and we will be happy to assist. Our team of experienced guitar enthusiasts are always on hand online and in store to answer any technical questions and to help you find the right product. Don't forget, if you order online and spend over £100 you'll enjoy free Next Day Delivery on orders placed before 3pm.